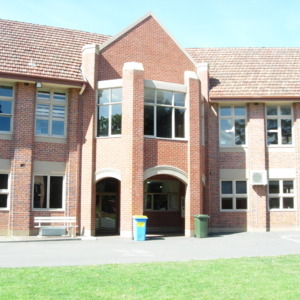 Tags: Bay window, buttress, crenellation, education, four-centred arch, Gothic Revival, Henrietta Cooper, Henrietta Cooper Music School, Launceston, Launceston Church Grammar School, Mowbray, music, parapet, pointed arch, school, Stanley Melbourne Bruce, Tas, Tasmania, tower, Tudor arch. 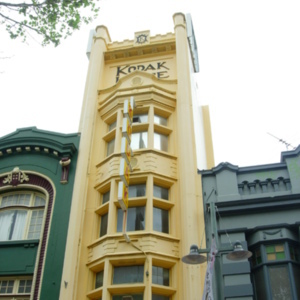 Tags: Bay window, commercial architecture, crenellation, Gothic Revival, Hobart, Kodak House, parapet, shield, Tas, Tasmania, tower. 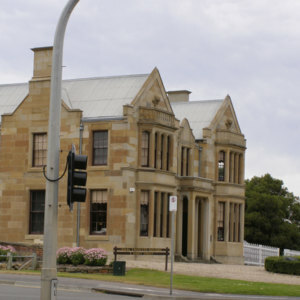 Tags: arched windows, Bay window, gables, Hobart, Royal Engineers Building, Royal Engineers Regiment, sculpture, Tas, Tasmania, Tudor.